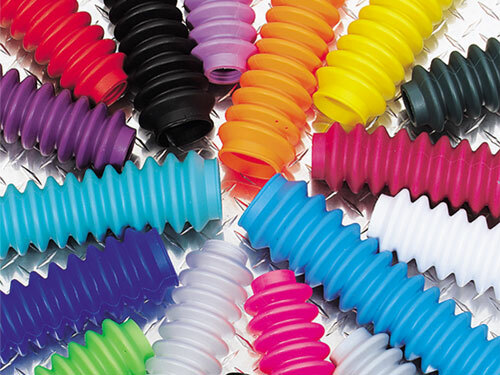 This kit includes two Pro-Ride front coil springs. 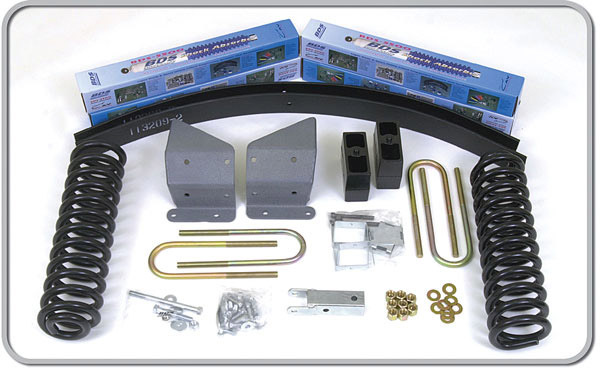 The kit also includes a track bar relocation bracket and heavy duty radius arm drop brackets. The rear kit consists of a 4" block and add-a-leaf kit to bring life back to your old springs. Front end alignment required which may require axle "C" bushings. These vehicles were available from the factory with three different shock configurations. First, front staggered shocks with one in front of axle -one behind, or front quad shocks with two shock on each side, or with a standard shock set up. You will need to identify what is on your vehicle to make the correct selection in the options.